In this campaign season's latest fail, Republican candidate Ben Carson made a, uh, less-than-positive statement about Muslims on Sunday during an interview with NBC's Chuck Todd on Meet The Press. Carson told Todd that he does not believe a Muslim should be president of the United States because he doesn't think the religion of Islam is consistent with the U.S. Constitution. His comments — aside from being offensive — are extremely ironic: Back in April, Carson preached religious freedom and the Constitutional right that all Americans have to it in a long-winded Facebook post celebrating the Easter season. No, I do not. I would not advocate that we put a Muslim in charge of this nation. I absolutely would not agree with that. We must make certain that people of all types of faith are respected by one another. Let us remember that the First Amendment to the United States Constitution is one of the most basic pillars of our system of governance and a founding principle of our nation, as it protects religious freedom. In this post, Carson seems to imply that Islam — and all faiths for that matter — are consistent with the U.S. Constitution and its protection of religious freedom. In Sunday's interview, however, Carson clearly told Todd that he doesn't believe Islam is consistent with the Constitution. Hmmmm. Since Sunday's interview, the Carson campaign has tried to explain that the candidate does indeed support religious freedom, he just "doesn't believe the American people are ready" for a Muslim president. Still, that doesn't answer to his statement that Islam isn't consistent with the Constitution. 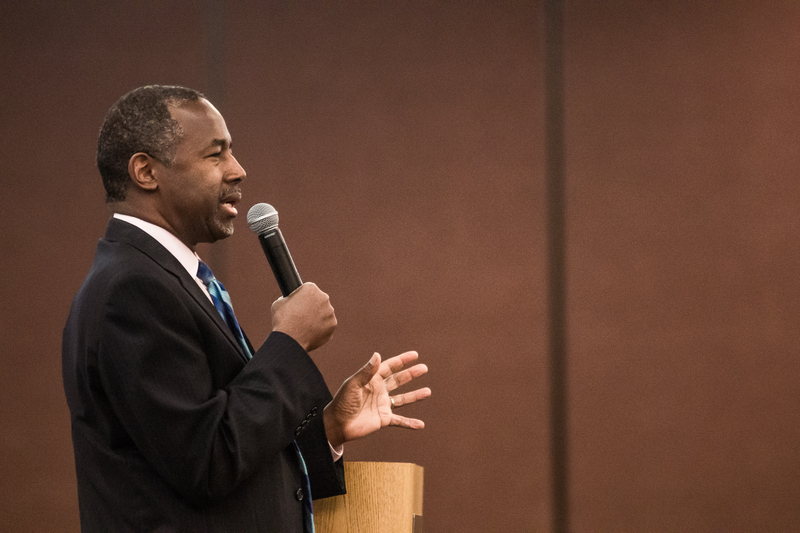 Carson has often pointed to his Christian faith on the campaign trail. His campaign website even states that he supports "keeping faith in our society." If faith is going to stay in our society, let's hope Carson can live up to his more tolerant approach to religious freedom.